It is heating up in Brisbane this weekend. Politicians and protesters have been gathering for the G20 and a heat wave arrives. Hotels in the surrounding area have been fully booked with people escaping the city. The Gold Coast has been popular as its sea breeze keeps it consistently cooler than Brisbane. We did our bit to participate in the global economy by buying Chinese bikes from a German supermarket to explore Australia. 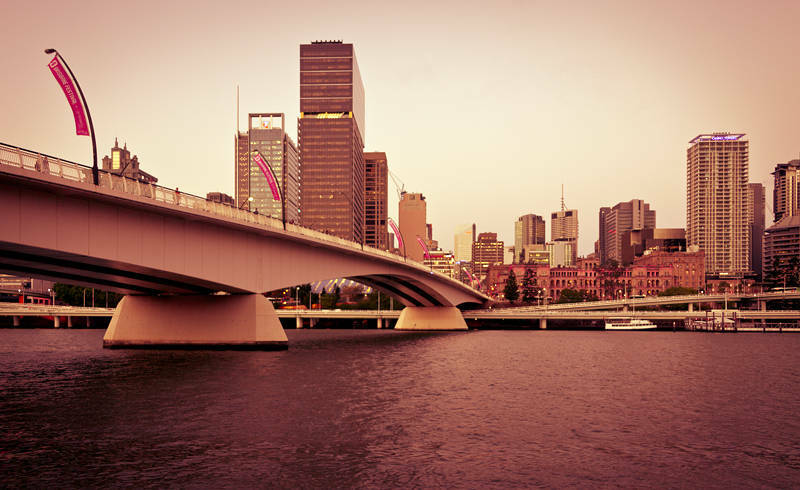 This shot of Victoria Bridge was processed with Split-Toning to add some Colour.